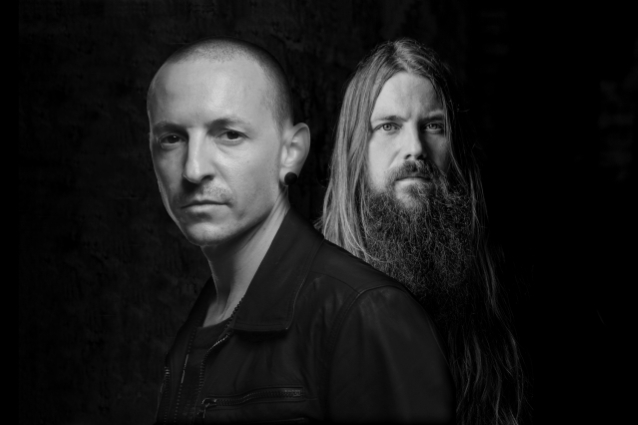 LAMB OF GOD guitarist Mark Morton said in an interview with Lazer 103.3 this week that late LINKIN PARK vocalist Chester Bennington was "excited" about singing on something heavy again when the two teamed up for a track on Morton's new solo LP. 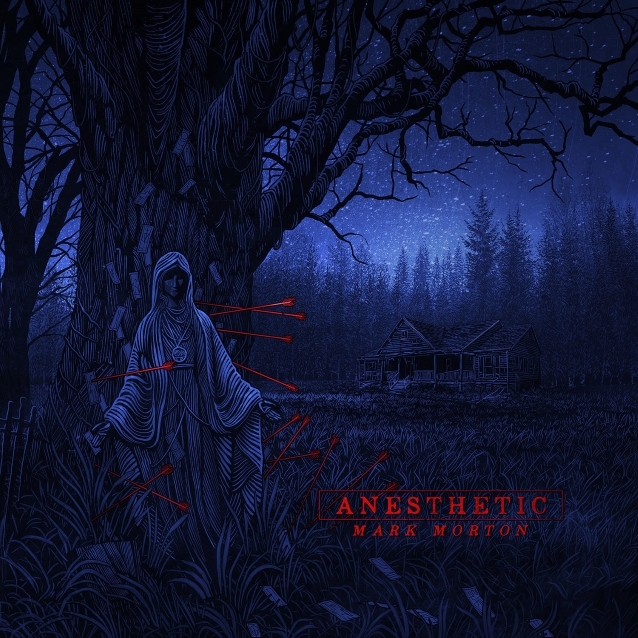 Bennington appears on the song "Cross Off" from Morton's upcoming solo album, "Anesthetic". Bennington worked on the song in spring of 2017, just a few months before he hanged himself at his Los Angeles-area home. Morton explained: "I'm so grateful to have had that experience with him and had that time with him and been able to collaborate with him and write a song with Chester. He was just great to be around, awesome to work with. [He was] very, very prepared [with] lots of ideas. [He was] very excited for his fans to hear him scream again; it had been some time since he'd done that. And that was a thrill for him, knowing that people would get to hear him scream on a track again. And just to work with him and watch him sing that song and see his technical ability in real time, it was amazing. [He was] just a great dude." Asked if he felt the need to pursue the blessing of anyone close to Chester before releasing the song, Mark said: "I don't wanna get too deep into that, but yeah, for sure. There were certain people that needed to be okay with it, and they were. And I'm grateful, mainly because I know how much Chester loved the song. He didn't need to be working with Mark Morton from LAMB OF GOD. But he treated it like it was the most important thing he was working on in that moment, for sure. But he really loved the song, and that's why he was there. And I think you can hear it in the track." "Anesthetic" is due out March 1. Other guest artists on the LP include Jacoby Shaddix of PAPA ROACH, ALTER BRIDGE's Myles Kennedy, STONE SOUR drummer Roy Mayorga, KORN drummer Ray Luzier, ALICE IN CHAINS bassist Mike Inez and more. Morton will embark on a short solo tour in March. Joining him on the trek will be co-headliners LIGHT THE TORCH and support act MOON TOOTH.